I can't help it. I'm wired to be a frugalista. It doesn't help matters that my husband is even worse. We seem to bring out the frugal in each other. Shopping for me is like a treasure hunt, or maybe a scavenger hunt. I'm always on the lookout for good stuff at great prices. Not cheap stuff. There's a big difference. My searches usually involve items for our house, but sometimes shoes are the treasure du jour. Or clothing. Or handbags. You get the picture. 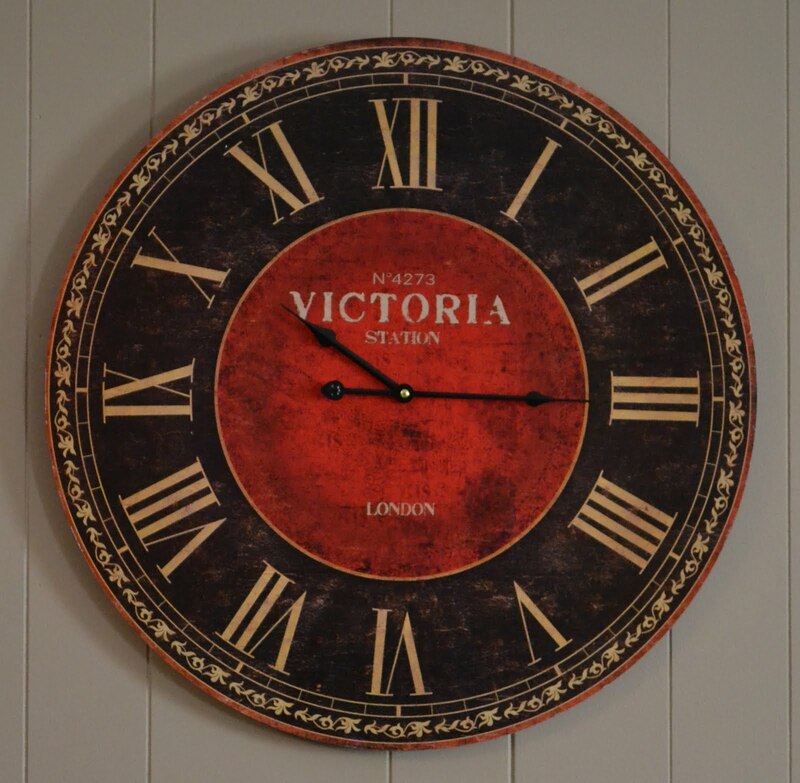 One of my recent scores was the "Victoria" clock pictured above. I had seen the clock pictured below in the Ballard's Designs catalog, and had been coveting it. 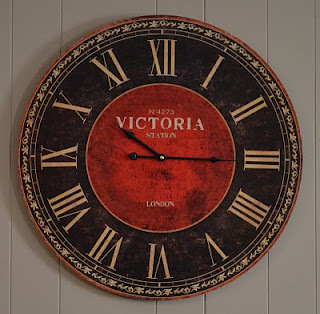 On a trip to Hammers, a local discount and odd lots store, I was perusing through their goods and stumbled upon the "Victoria" clock for, believe it or not, $11.88. That's not a typo. Eleven dollars. Of course I snatched it up. 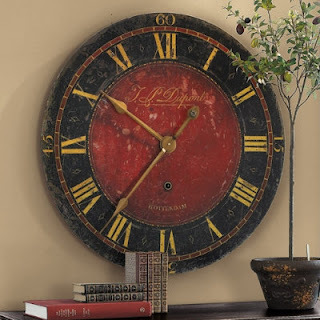 The one I had been looking at in Ballard's was around $250, and I just couldn't bring myself to spend that much on it. So I did a little dance and took it to the register, paid for it, and went happily home with my found treasure. It now adorns a wall in our recently updated family room. Even my husband loves it. Happiness comes in many forms. Some days, it's finding a steal of a deal.